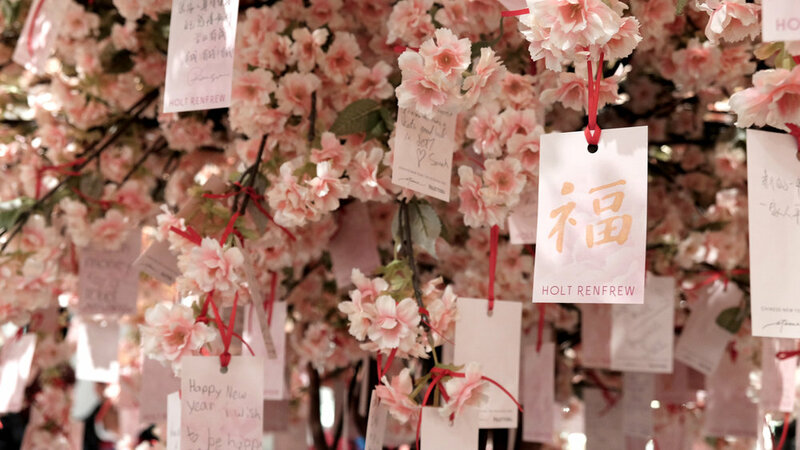 One of the most cherished events in the city is the series, Suzanne Rogers Presents. It is regards very highly as an exclusive event that put Toronto and Canada on the map in both fashion and philanthropy. For this particular event, we created a sponsorship deck that was both inspiring and thoughtful to pique their interest. 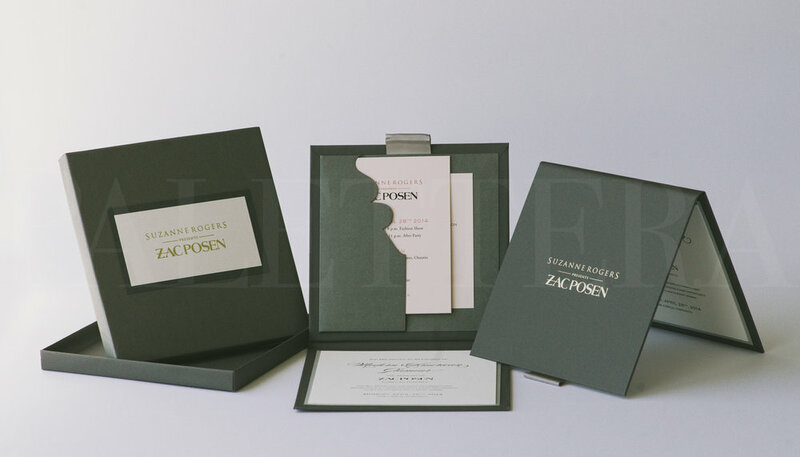 The folders for the sponsorship deck were die cut, and we kept it very clean with “Suzanne Rogers Presents Zac Posen” printed neatly on a pearlized pale pink and mounted on the sleek, gunmetal grey folder. The invitations themselves were presented in a heavy, gunmetal grey box. Inside were folio invitations that could be released with a pull ribbon. Once opened, the words were pressed deeply in a light grey onto a heavy cotton stock for added weight. 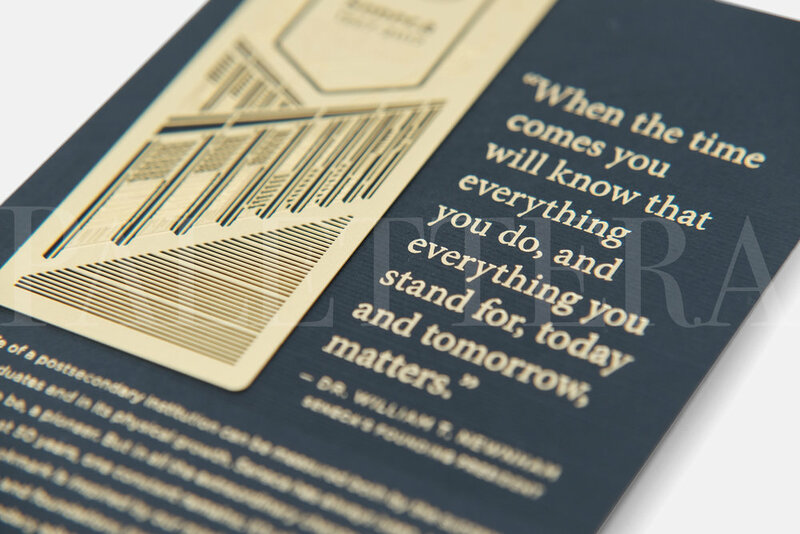 The details cards were tucked neatly in a die-cut pocket that mirrored the same die-cut shape of the sponsors’ folders.